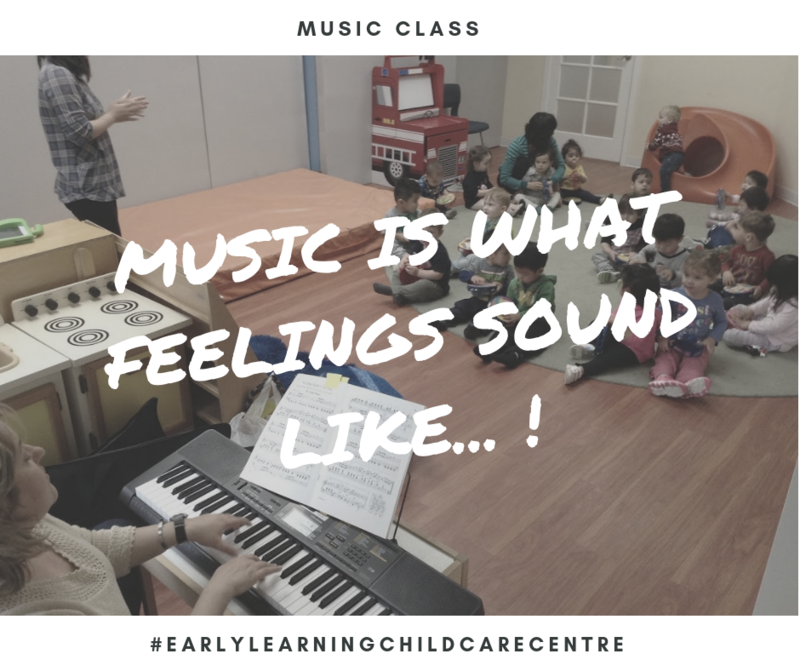 For our infants and toddlers we have this music program. The teacher is Kati Magyar. She is the owner and music therapist of Viva la Musica, which is conveniently located in the same lot as our Westwood location. She is wonderful with our children, teaching them to use xylophones, shakers and more. She also helps them with patterns and colours through music. She plays the keyboard that she brings to accompany her songs, while the children play with their instruments.